Smoother & fuller, the skin regains its tone & elasticity & appears more radiant. 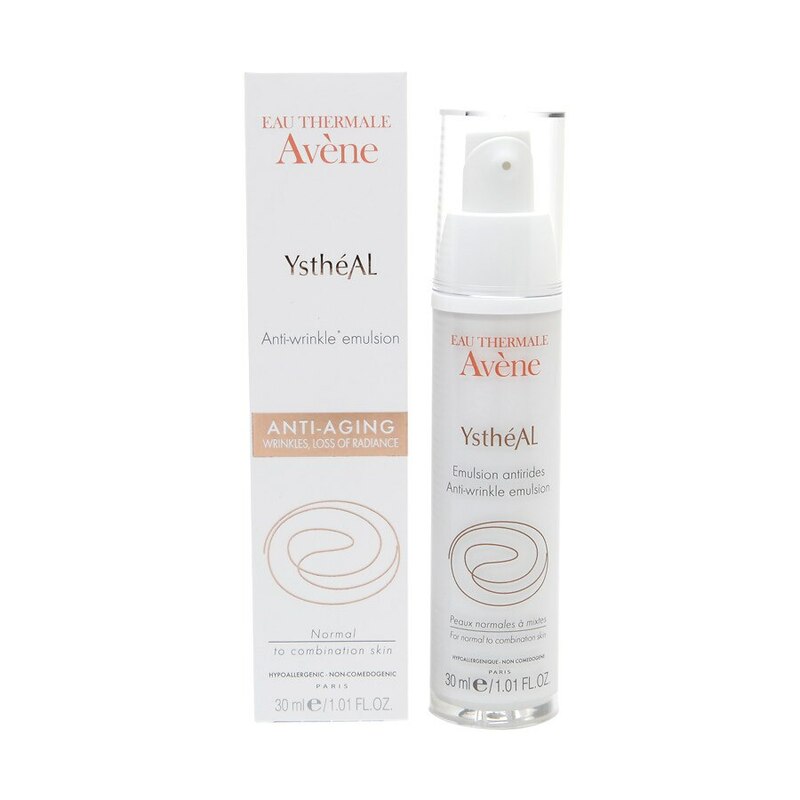 With its lightweight texture & high concentration of soothing Avene Thermal Spring Water, Ysthal Anti-wrinkle* emulsion, formulated for normal to combination skin, leaves the skin feeling supple, soft & matte. Its good tolerance has been tested on sensitive skin. Apply to the face & neck in the evening. Avoid exposure to the sun & use adapted sun protection. If you experience tingling, allow more time between applications. Avoid contact with the eyes. Not to be used on pregnant women. Product formulated to minimize risk of allergic reactions. For external use only. Keep out of reach of children. Do not expose the product to temperatures above 104°F (40°C). For wrinkles, fine lines, loss of tone & radiance.